[UPDATE - 11th February 2019]: Very glad this has got a second series. It's a refreshing break of silliness in an increasingly miserable world. In this first episode, oil has been discovered under the vast prehistoric egg, and though this might seem a lucky break, as Harry Hill puts it, "bitter experience warns me to expect the injection of jeopardy into the narrative at about this point". It still has that nice lean on the fourth wall discussing the daftness of the whole affair and a couple of sneaky jabs at satire that know not to push it too far. I still think my favourite moment is an overly long attempt to find a suitable name for a new country, which includes a sneaky support for Tibetan independence, but Peter's idiocy is also great. His inability to understand homophones give some of the biggest laughs of the show. 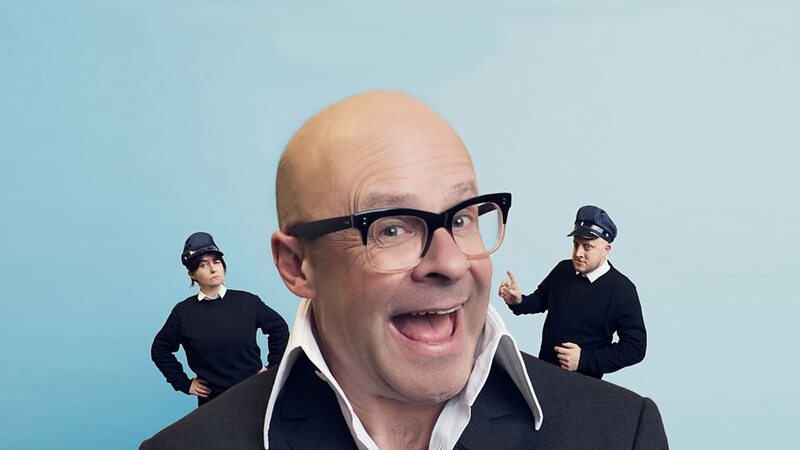 [ORIGINAL - 15th December 2017]: Harry Hill. Love him or hate him, you can't help but love him. Especially when he's being a complete idiot, like he is here. Very short piece, this one, acting as a sort of tiny pilot prior to a later, fuller (I hope), show about life in the highest security, lowest intelligence prison in the country, located offshore in a giant egg. No, I don't know why either. Harry is supported by his two vice wardens, one of whom is very stupid and one of whom is more desperate to escape than the prisoners. Also Gyles Brandreth. No, I don't know why either. Thankfully, he only appears for about thirty teeth-gritting seconds. Honestly, I'm not sure whether the setting or plot would actually matter to this. It's simply a backdrop on which to hang fifteen minutes of absurdity, wordplay and some cleverly reversed punchlines. It's a complete farce, in the traditional form, and I really hope they get some full length episodes eventually.